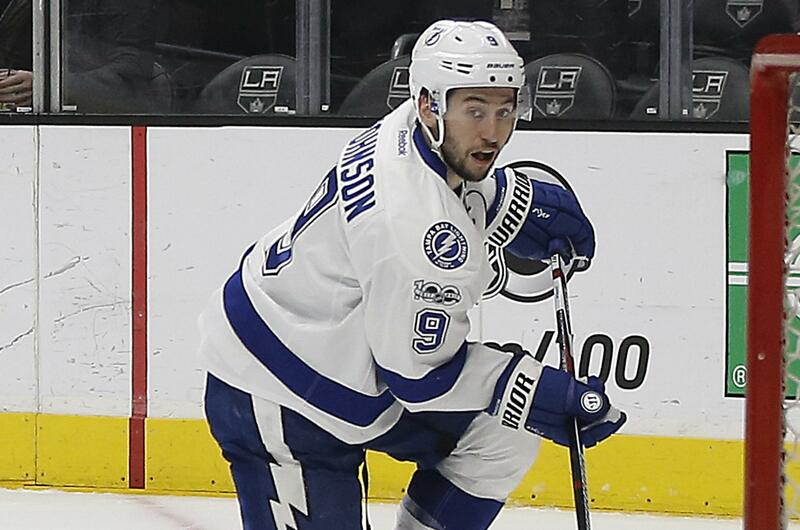 UPDATED: Mon., July 10, 2017, 9:20 p.m.
TAMPA, Fla. – Tyler Johnson is staying with the Tampa Bay Lightning. The free-agent forward signed a new seven-year, $35 million deal to remain with the Lightning, general manager Steve Yzerman announced Monday. The 26-year-old Johnson, a former Spokane Chiefs standout and graduate of Central Valley High, had 19 goals and 26 assists in 66 games last season. He was tied for third on the Lightning in goals and power-play goals (six), and fifth with 45 points. Overall, Johnson has totaled 89 goals, 122 assists and 102 penalty minutes in 308 career games over five seasons, all with Tampa Bay. He also has 21 goals and 21 assists in 47 career playoff games. The Lightning missed the playoffs last season after reaching the Stanley Cup Final in 2015 and the Eastern Conference finals in 2016. Johnson played for the 2008 Memorial Cup champion Spokane Chiefs. He is one of two Spokane-area natives in the NHL, along with Derek Ryan (Shadle Park) of the Carolina Hurricanes. Also, Kailer Yamamoto (Mead) was a first-round pick of the Edmonton Oilers in last month’s NHL draft. Published: July 10, 2017, 8:22 p.m. Updated: July 10, 2017, 9:20 p.m.